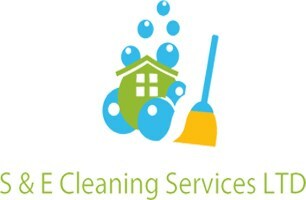 S&E Fit & Clean - Carpets/Flooring, Cleaning Services based in Northampton, Northamptonshire. S&E Cleaning Services Ltd was established in 2017 and we are expanding rapidly around the Northamptonshire area. We offer a multitude of services from professional cleaning of carpets, rugs, gardeners and hard floors such as tiles and driveways. However we also supply and fit different types of flooring such as carpet, laminate, linoleum, vinyl and we can also fit and provide underlay, grippers and door bars at the most competitive price you will find. We can come to your house and provide many samples of different carpets from budget prices to the most expensive ones that you can choose. We are different to most others because we provide an accurate quote only after we have inspected the project. If you feel like your carpet is still good enough and don't want to get a new one we also provide professional cleaning services with professional equipment that will make your old carpet look as good as new. Any town within Northamptonshire. Can travel outside Northamptonshire for bigger jobs.